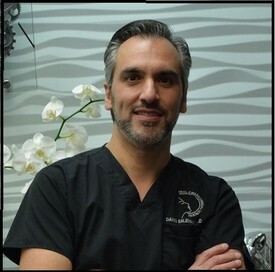 Dr. Salehani is a board certified oral and maxillofacial surgeon. He received his undergraduate degree in Biochemistry with honors and his dental degree with honors from State University of New York at Stony Brook. He completed his Oral and Maxillofacial Surgery training at Long Island Jewish Medical Center. In addition to receiving a diversified maxillofacial training at LIJMC, he also earned a medical degree at Stony Brook School of Medicine. Then he went on to complete an internship in general surgery at Stony Brook University Hospital, where he was trained to manage major trauma cases. Dr. Salehani practices a full scope of oral and maxillofacial surgery including dentoalveolar surgery, facial reconstruction (trauma or pathology), orthognathic (corrective jaw surgery), cleft lip and palate, dental implant, and TMJ surgery. He also participates as a faculty member in residents’ education at the UCLA medical center.